A Pessimist Is Never Disappointed: The Thing You Need To Buy This Week Is This: A.R. Kane Singles Comp. Up On iTunes! The Thing You Need To Buy This Week Is This: A.R. Kane Singles Comp. Up On iTunes! The best thing you didn't know you needed from the best band that you either forgot about or didn't ever know about is this. Yes, the 33-track (!) 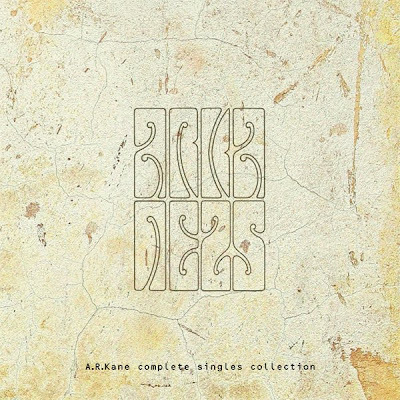 Complete Singles Collection from A.R. Kane is up on US iTunes and here's a link. For those of you on Amazon, it's also there. Following on from this recent interview with half of the duo, it's about time that A.R. Kane got reassessed. I mean, jeez, the band covered every important genre of the mid-1980s to the mid-1990s. Like me, maybe you got into these guys 'cause of the stuff produced by Robin Guthrie of the Cocteau Twins, or because of their involvement with M/A/R/R/S and "Pump Up The Volume" or because of the press accolades? I think I grabbed 69 (1988) first and sort of dug it -- it was not nearly as obvious in its charms as was that year's Isn't Anything from My Bloody Valentine. Still, over time, I began to see more clearly how innovative and forward-thinking these two guys were. 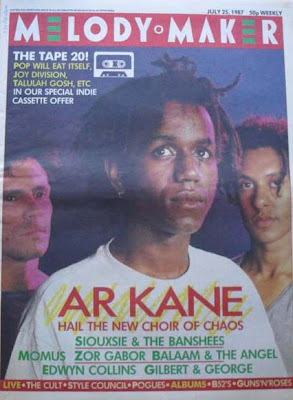 And if you can make a good case that they were not suited to the album format, you can just pour yourself into these singles and remember that glorious era in UK indie rock. Dive into this sampler of tracks courtesy of the One Little Indian record label -- "A Love From Outer Space" (Album Version) is a jam and a half! Deliriously Good New Video From Childhood! New Dot Dash Video! Play It Here! Play 2 Tracks From London's Splashh Here! Play Little Boots Cover of Bronski Beat Here!